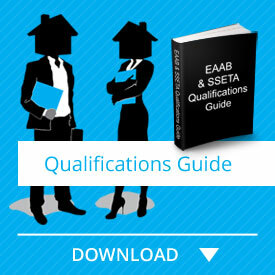 The Estate Agents Affairs Board (EAAB) has regulated that all estate agents must become qualified within two years of purchasing their Fidelity Fund Certificate (FFC) or they will be disqualified and unable to trade. To qualify for RPL in your NQF4 qualification you must have been a registered FFC holder. You must have a South African ID document or permanent residency, a matric certificate or NQF3 in mathematics and second official South African language. PropAcademy offer bridging courses for mathematics and literacy should you not have these qualifications. External training in industry related subjects is necessary and you must be currently employed and active in the real estate environment. PropAcademy’s SSETA accredited NQF4 RPL course makes it easy for you. We provide you with easy to follow material and a study plan helping you to complete your Portfolio of Evidence (PoE) within a 12-week period! PropAcademy’s accredited facilitators and assessors are all trained to ensure that you achieve your goal in record time. Because we understand the RPL system that ServiceSETA has implemented, we are equipped to help you successfully complete the PoE as quickly as possible, so that you can advance your career in the real estate industry as a qualified Full Status Property Practitioner. ‘NQF Level 4’ is the National Qualification Forum: Level 4: Real Estate (SAQA QUAL ID 59097) qualification that must be completed by all estate agents. If you qualify for RPL then you are legible to take our NQF4 RPL course which can be completed within 12 weeks. If you believe that you should qualify for RPL, then please complete this form and return it to our office for approval. If you qualify for RPL then click the “Take this Course” button below ensuring that you will be qualified as a real estate Property Practitioner in record time! Orientation Guide: A friendly, knowledgeable PropAcademy facilitator will guide you through the set requirements for this qualification, explaining what is expected of you and when. You will also understand what you can expect from PropAcademy and ServiceSETA. Portfolio Guide: This is where you will be answering your questions and assignments which form the basis of your Portfolio of Evidence. Learner Guides are included as an add-on resource. They are all indexed and easy to follow.